At 65, I’m hardly making room for the new, rather preventing it from being thrown mercilessly onto the trash heap when I’m gone. Sewing a garment yourself is not instant gratification. You start with a dream and find a pattern to fit it. What was the first garment I made?… It must have been eighth or ninth grade. A pale sea-foam green, long-sleeved cotton dress with dropped waist, a long back zipper, bias-cut skirt and bias-cut flouncy cuffs. It looked awful and I never wore it. Sewed it on Harding’s ancient black Pfaff machine. Then there was trying to keep myself busy during the home-visit in Japan when I was 17. 40° or more that summer, the treadle sewing machine stood unused in my host’s attic, where it was certainly much over 40°. I sewed a brown skirt that didn’t look any better than the green dress and only wore it with embarrassment a couple of times. The dress I made with my Dutch teacher years later was beautiful. No open seams, with reinforced hem seams and covered buttons. Then, in my neophyte’s enthusiasm for renouncing the world, I sent the skirt off with a 100 DM bill in the pocket to refugees in Eastern Europe, gleefully imagining the surprise of the girl or woman who would put her hand into the pocket. After that there were patterns for work clothes and endlessly imagining how beautiful I would look in them. 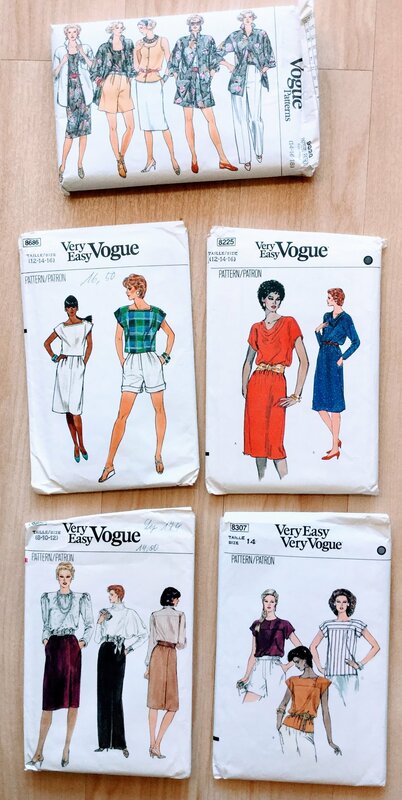 Sewing them myself was the only possibility on my minuscule budget to get designer clothes – from Vogue patterns’ designer series. 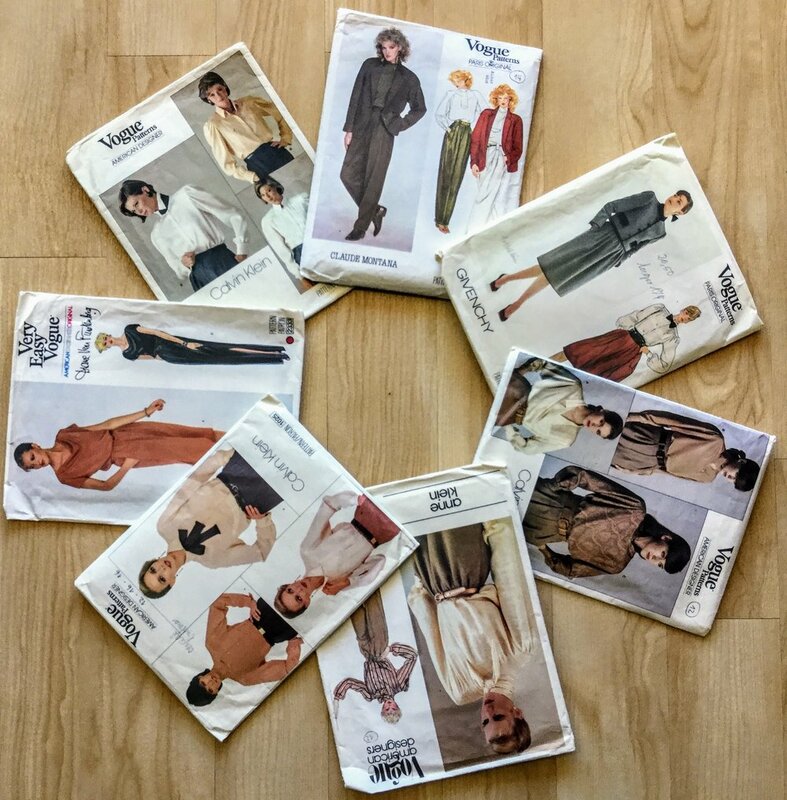 I remember well the last dress I made: merino wool, the color of a winter storm sky – not my color, but it was on sale – lined with light grey rayon. A shirtwaist. Warm and practical, I wore it with woolen stockings. Later (after the long ascetic phase), I felt pressure to present a certain image as conductor (with mother's style consciousness in my genes). I scraped to earn money and spent it on music, travelling, and – on clothes with fancy labels. (Better to look good than eat in fancy restaurants.) That lasted for over a decade, until I got a migraine every time I fastened a waistband or bra clasp, and my friend Minna opened the world of Christa de Carouge for me. A fabulous Swiss designer, just retired (and passed away on 17 January; here her successor with last pictures of Christa), who designed for women like herself – with character and inspiration, not a waistline. And today, I throw the patterns and the dreams away. Thank heaven for Marie-Thérèse. She sews. Hadn’t given her a commission for 10 years, but she just produced beautiful warm winter pants for me. Weather-resistant Loden cloth with a drawstring waistband, big pockets for my stuff and high harem-pant cuffs (inspired by Christa) that don’t get wet in winter rain and slush. To keep me warm for the next 10 years. And I can live with the relief of knowing that tiny Bangaladeshi fingers are not sewing my clothes, but a fine Austrian seamstress. Ich hab’s gut. OK, writing this has dried my tears. Good-bye, dear old patterns that I dragged along with everything else all these years from Los Angeles to Stuttgart to Paris to Vienna and back. Good-bye old dreams, you carried me well. I’m 65 now. I need some new ones.